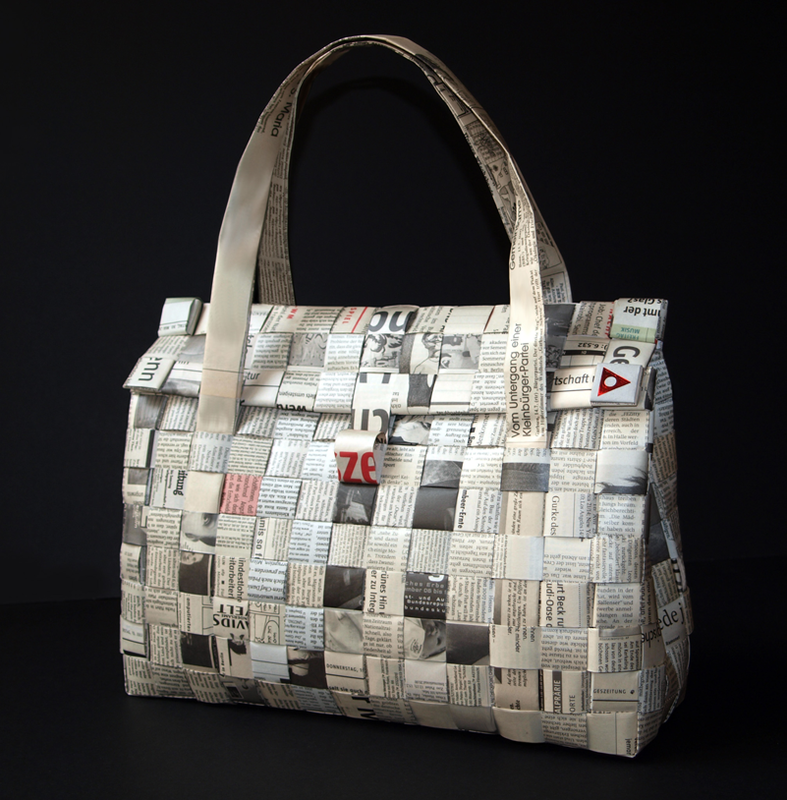 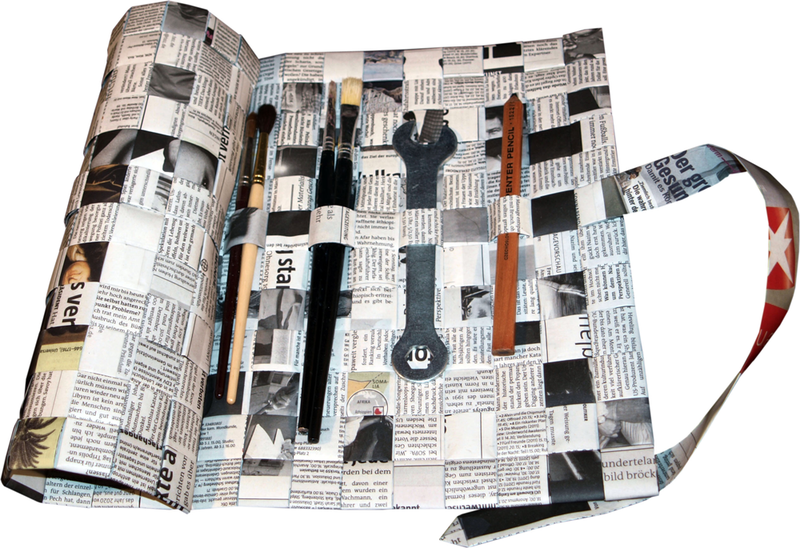 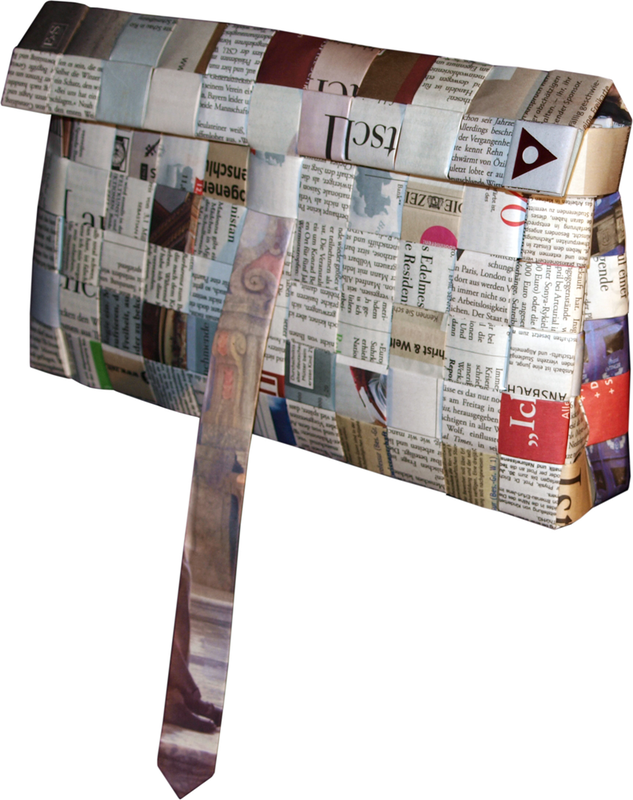 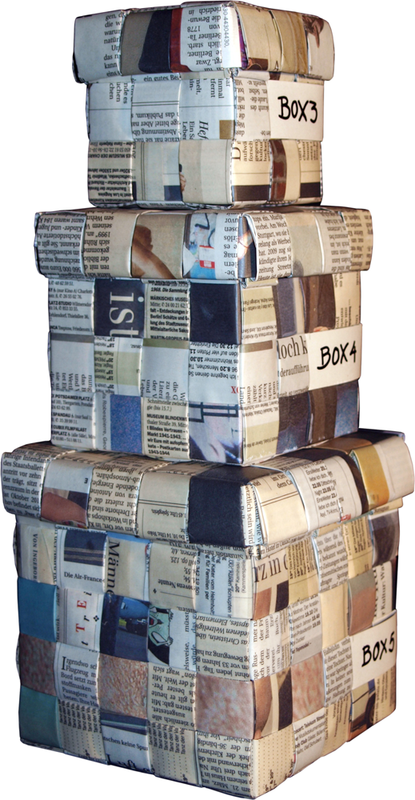 transFORMATE is a meshwork design made of recycled newspapers. 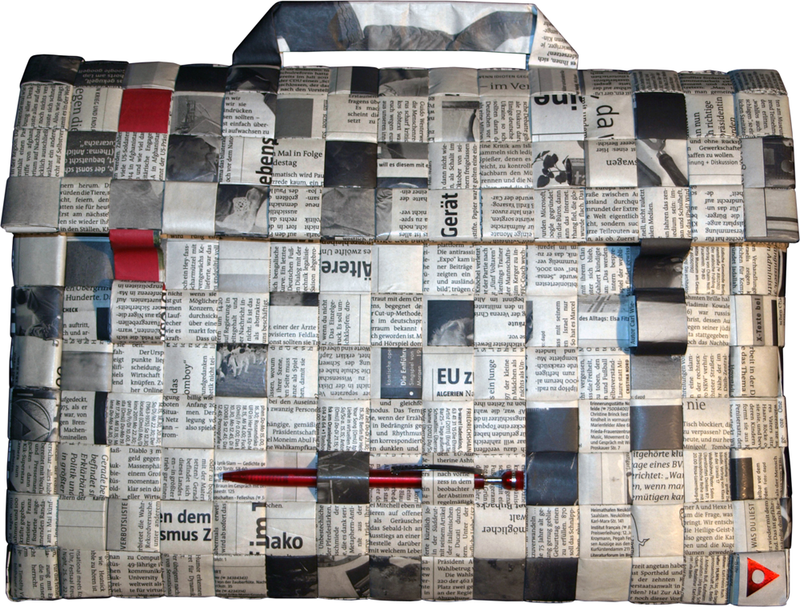 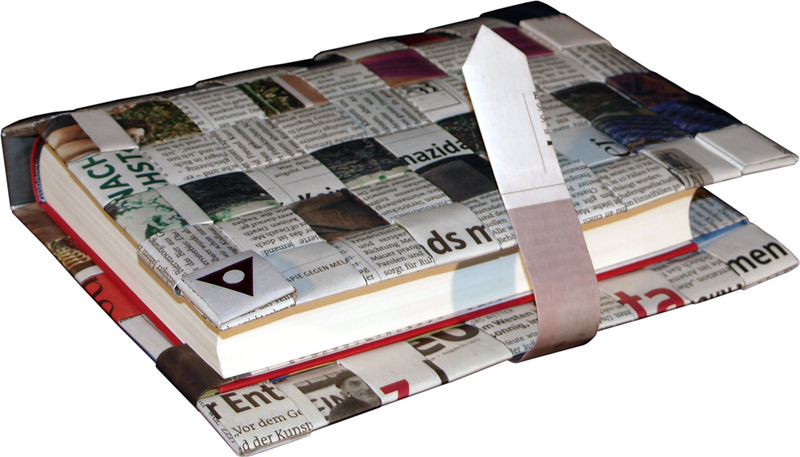 Folded stripes of old “news” papers are interwoven and transformed into a new (id)entity such as boxes, briefcases, shopping bags and up to folding screens and mats as well. 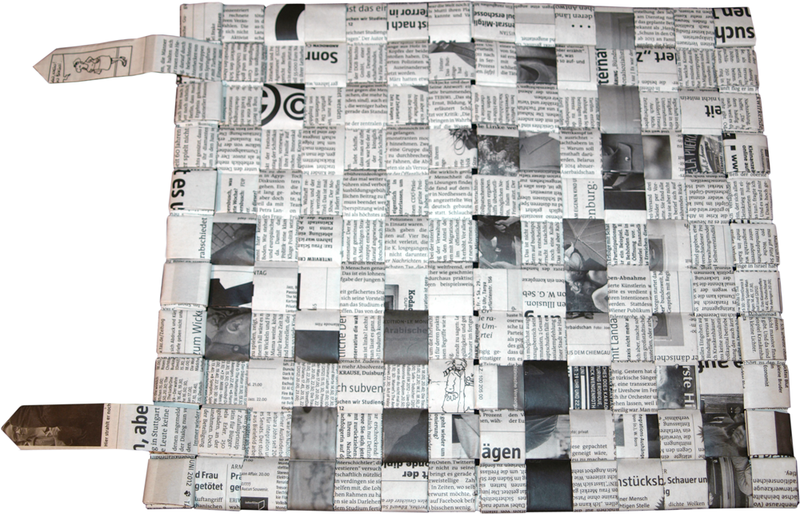 The printed text literally gets woven into texture. 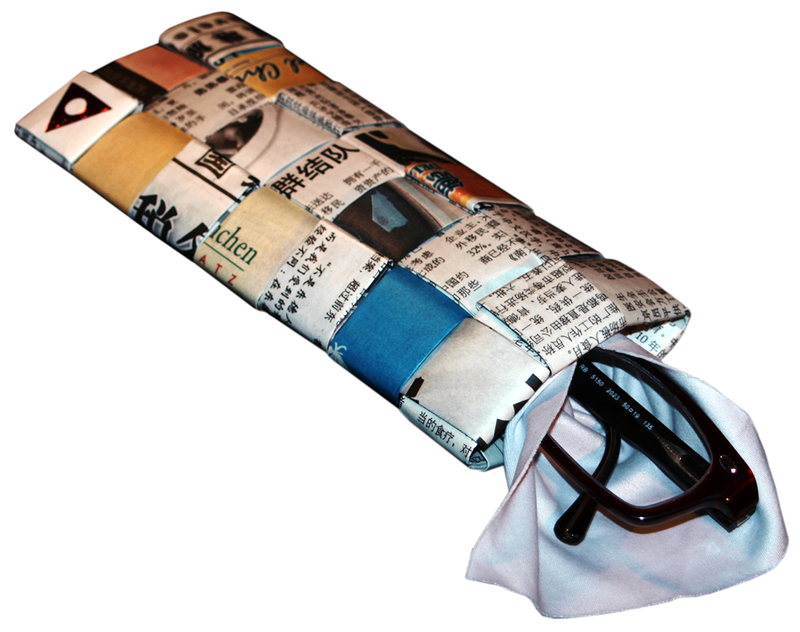 A particular finish provides a moisture repellent and abrasion-resistant surface. 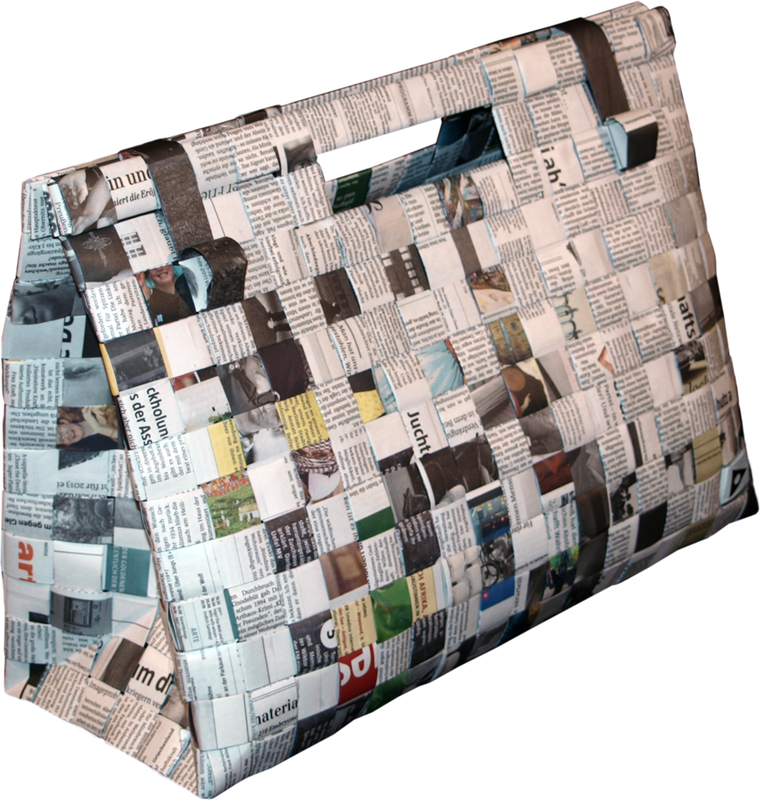 In combination with a special type of weaving a sturdy and nearly hard-wearing durability will be achieved. 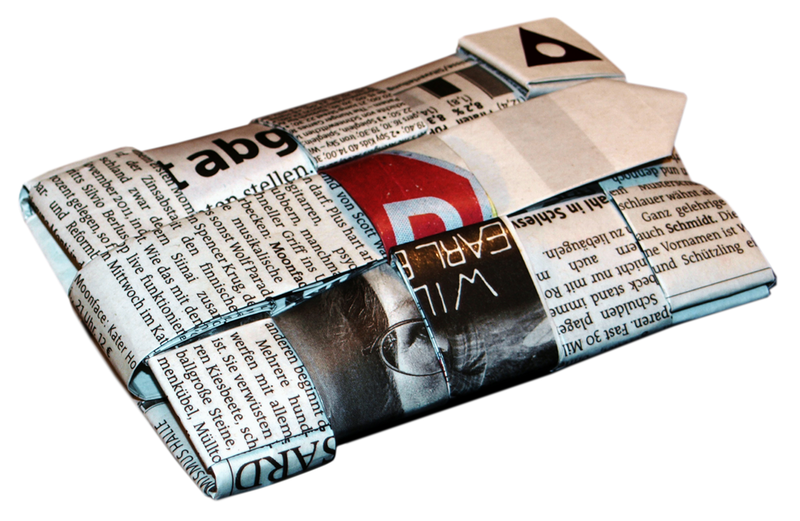 Newsprint will receive a light sepia brown patina with time, which will provide an appealing contrast to the clear and precise shape of transFORMATE. 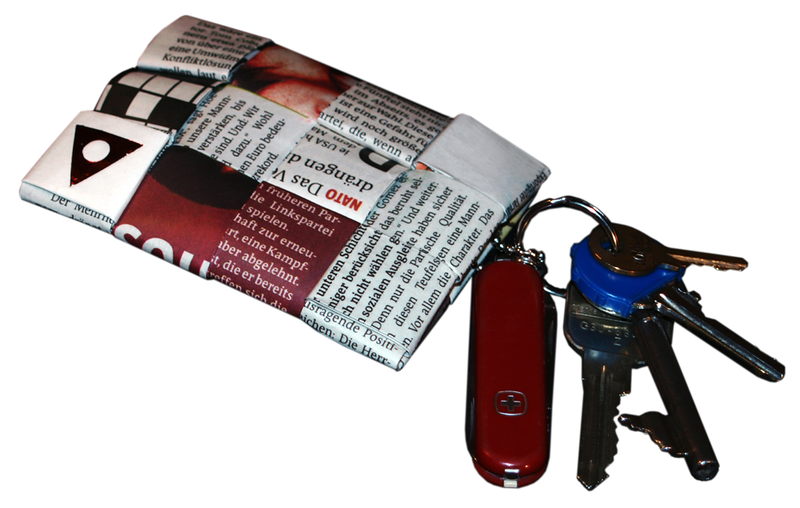 Each transFORMAT is thoroughly and individually manufactured and is thus unique.